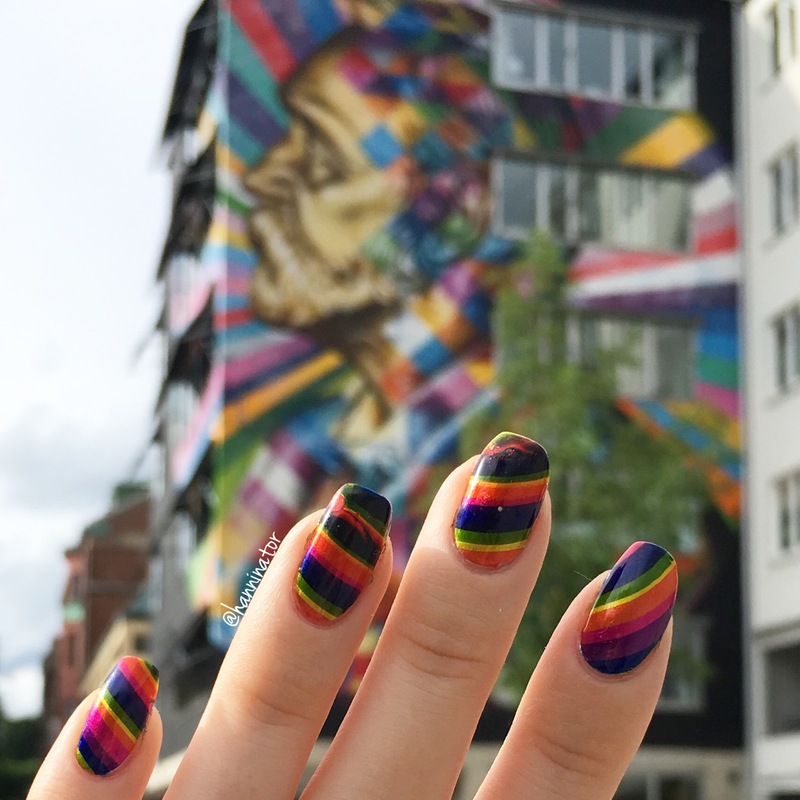 Last weekend was the pride festival in my home town and I made some rainbow nails for the occasion. 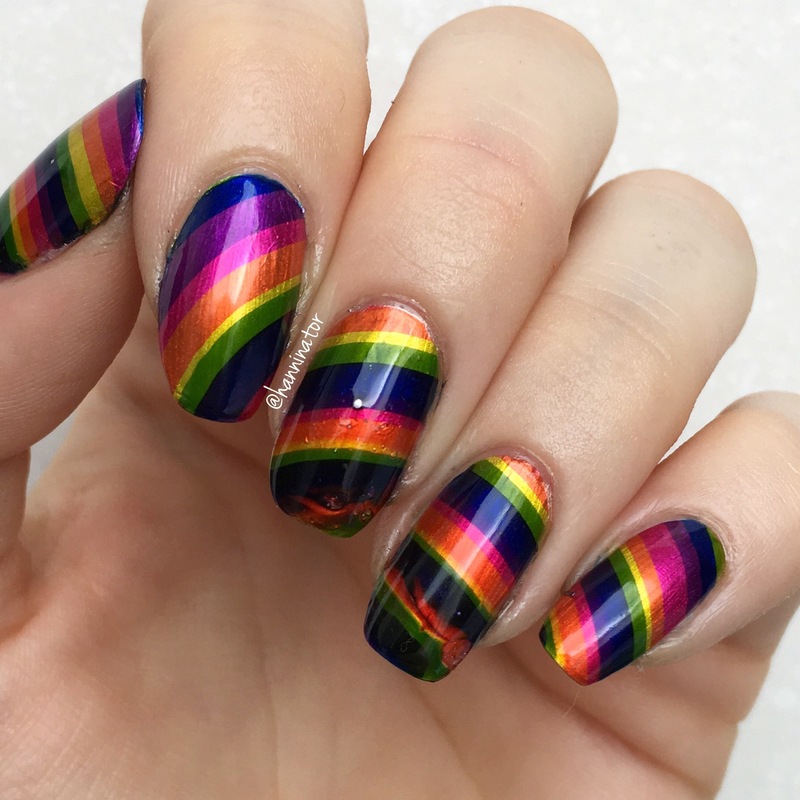 To make these nails I used the Color paints polishes from OPI that are perfect for water marbling. More precicely Silver canvas, Magenta muse, Chromatic orange, Primarily yellow, Landscape artist, Indigo motif, Purple perspective. To make the cleanup easier I used Mini mani moo around my nails. I did not join the parade, but found that my nails were matching this awesome mural on a house in town. 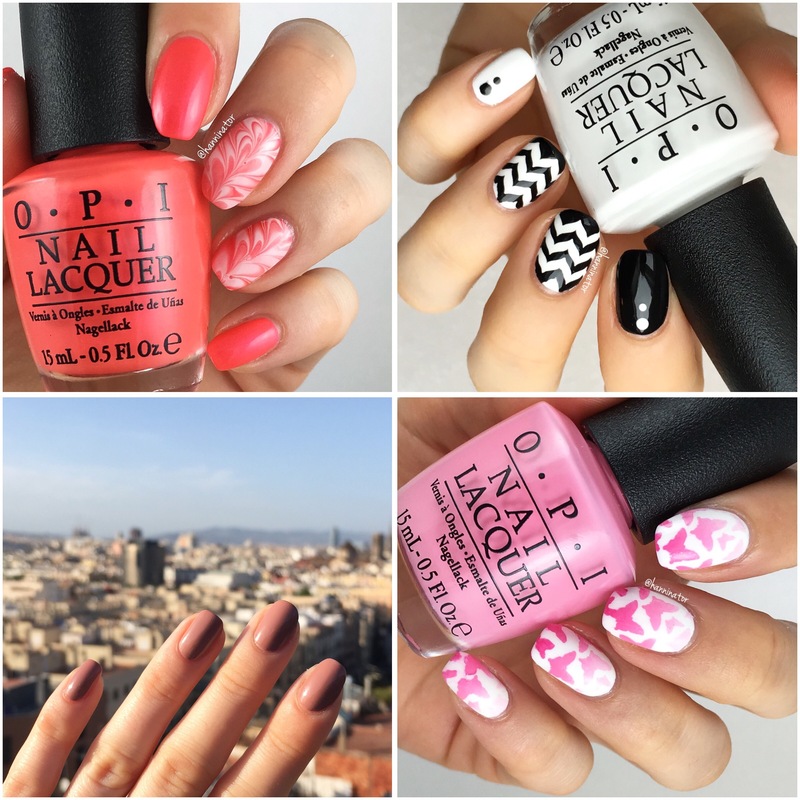 Here are my favorite manis from May. I don’t think I can spot a theme for this month but I guess that’s not a bad thing!